Here at Sixpoint, we love homebrewing. That’s how this whole thing got started, 20 years ago in a basement in Madison, WI. Besides the pilot batches we brew on our 20 gallon system, we also get on there for fun on the weekends. It’s fun, it’s creative, and it’s meditative. It’s cool to see what people are up to in the increasingly vibrant homebrew community too… and we totally dig cloning. 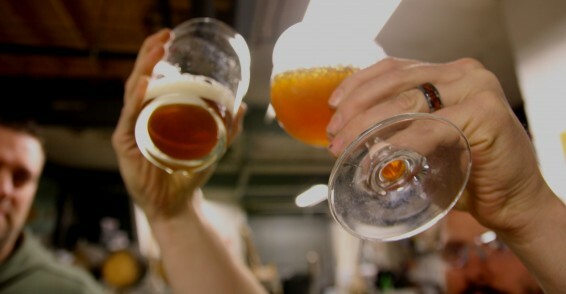 Cloning a commercial beer without a recipe is hard. You’ve got to taste a beer, analyze its various qualities, and reverse-engineer the recipe to create it. That’s how Dan Reeve made his Resin Clone a while back, and it’s actually quite similar to the way that our Founder, Shane Welch, creates his recipes. Rather than try to brew a beer to conform to an established style, Shane brews with a specific taste, aroma and appearance in mind. Then the recipe is created to match. Making a good clone takes skill, ingenuity and moxie, some essential qualities of #MadScience. 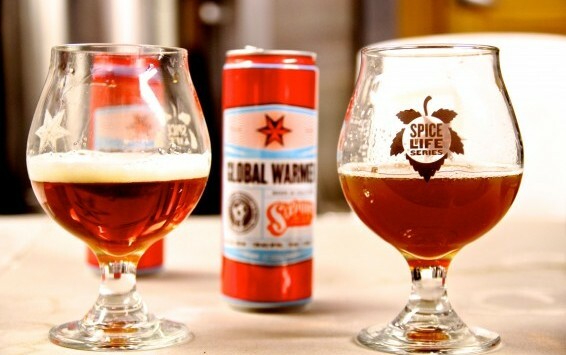 And to tackle a beer fan favorite, like Global Warmer? That’s serious. 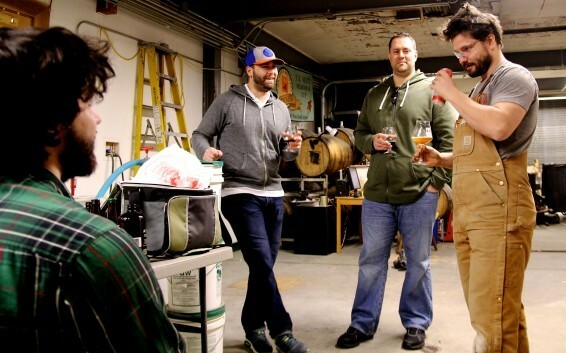 Enter Mike Monpetit, avid homebrewer from Eastern Long Island. Mike messaged us on BeerAdvocate with his best reverse-engineered recipe, and it was damn close to the real thing. Shane threw a couple little hints his way, and he set about creating a Global Warmer clone. 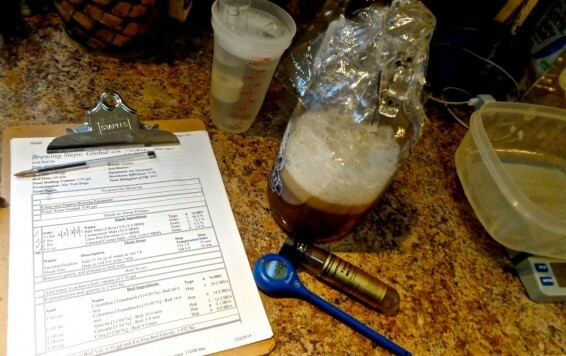 First off the basics.. what’s your background and what got you into homebrewing? I grew up out on eastern Long Island before moving into the city and then ultimately back out east. Too many friends and family out here and now married with 4, soon to be 5, kids. As for what got me into homebrewing it was my brother grabbing me a Hefeweizen kit for Christmas a few years ago. He noticed I was interested in brewing and getting more into craft beer at the same time. It was an extract batch I brewed on the stove and a tough beer to make on your first shot. I was the only one who really drank any of it as it was a little rough around the edges. Ever since that batch it’s been an ever evolving hobby/obsession. 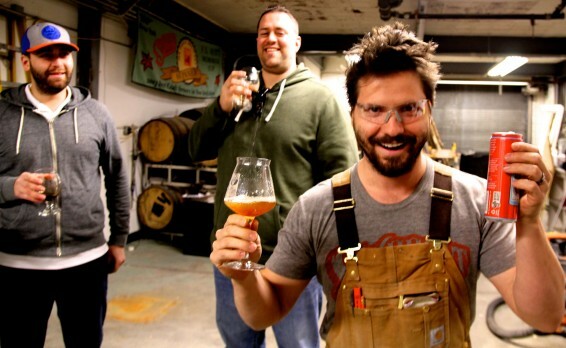 Homebrewers are passionate folk… What drives your passion for beer and brewing? I think what drives my passion is two-fold. First being able to make something that my family and friends enjoy really brings on a great feeling. I’d say it’s like making a big dinner for everyone and seeing everyone enjoy it. Secondly learning more about the brewing process and what it takes to brew great beer consistently has grabbed my interest more than I ever thought it would. I’ve never had the biggest interest in science, math, or engineering but you need to learn a good deal about them all to brew good beer repeatedly. It’s also a never ending challenge to improve beers from batch to batch. I see you use BIAB.. what got you started on that? In your experience, what are the advantages and disadvantages? 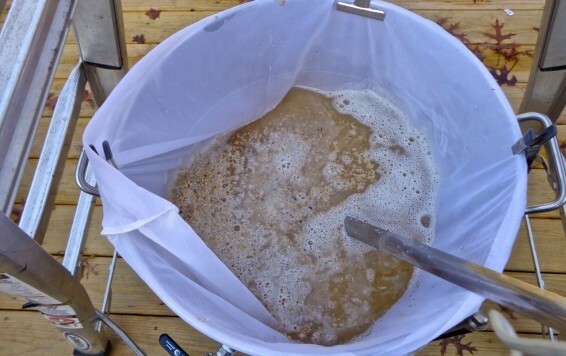 I started BIAB after reading a lot on it over in one of the homebrewing forums. I don’t have a ton of space to store all the equipment that comes with conventional all grain brewing and the simplicity and time savings that BIAB offers while keeping quality high was very appealing. Making the most of a small space… we can relate. I don’t think there’s much in the form of disadvantages but it’s still pretty far off from brewing on a commercial system and those whose goal is to ‘go pro’ would probably get the processes down better while brewing traditional. I’d also think that batch sizes would come into play since I think batch sizes more than 10 gallon become cumbersome for BIAB. 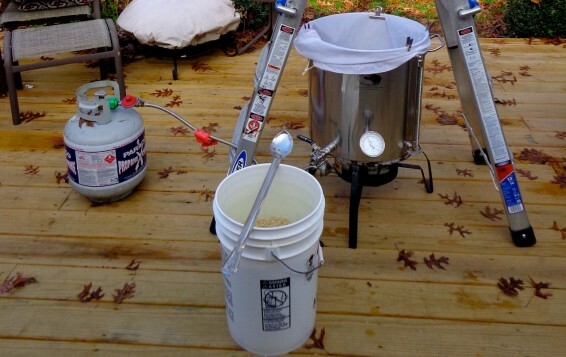 We love to hear about homebrewing innovation… you said that you’re upgrading your system. Have you made any adjustments or learned any tricks worth mentioning? Like I mentioned above brewing is such a never ending pursuit of perfection. The biggest adjustment by far that has led to improved beer has been temperature control. I have a pretty good size chest freezer with a temp controller hooked up that keep my fermentation temps pretty consistent. I don’t think any of the other upgrades or things I’ve learned has come close to making more of a difference. What sets Global Warmer apart for you, and what made you want to clone it? My favorite styles to drink are IPA’s and Stouts. I’ve brewed a few more dark beers recently and wanted to do something different to have for the winter without doing another IPA. I tried to think of something I had drank that really stood out last winter and Global Warmer was the one. Really nice hop bitterness and aroma but the malt stands up to it. Plus it’s got enough cojones to make you forget the cold for a little while. I’ve also been naming some of my home-brews as they’ve gotten better and don’t have one yet for my redhead son Ryan and thought this would fit that bill nicely. The lower ABV also helped make Hand Warmer damn smooth and quaffable. Mike left us a 6er of his brew, and we’re already going through em at lunch. Cheers to Mike and his bro for coming by… another classic cloner in the books. This guy… am I right? ?